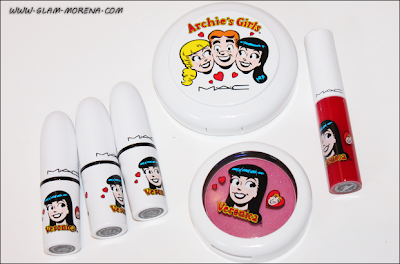 Glam Morena: MAC Archie's Girls - Veronica. MAC Archie's Girls - Veronica. 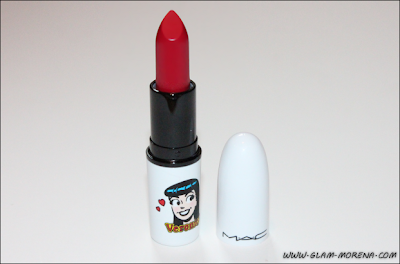 I'm continuing with my MAC Archie's Girls Collection photos and swatches. A few days ago I posted the Archie's Girls: Betty Collection. 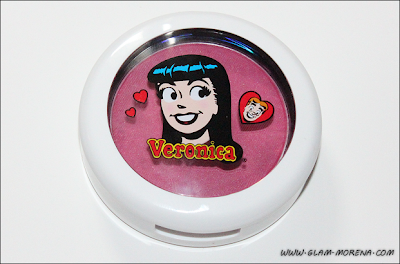 This post is all about the Archie's Girls: Veronica Collection. I picked up a lot more from that part of the collection than from Betty's. 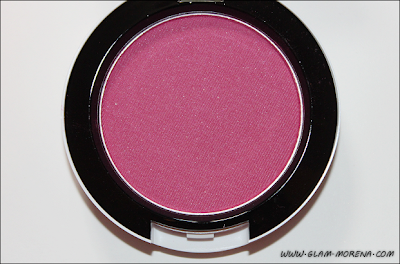 The shades definitely suited my skin tone a lot better than the shades from Betty's part of the collection. 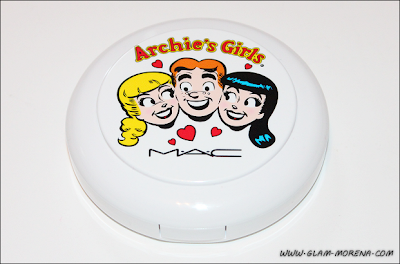 My MAC Archie's Girls Haul. Isn't the packaging just adorable? 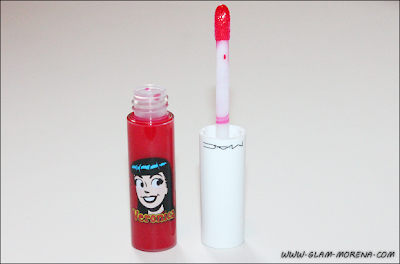 MAC Archie's Girls Veronica Collection. 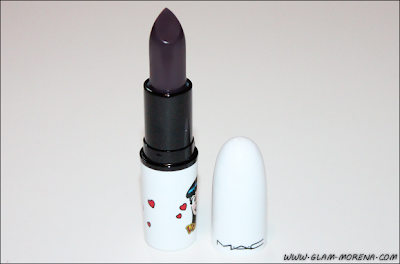 MAC Veronica Lipsticks in Boyfriend Stealer, Daddy's Little Girl, and Ronnie Red. 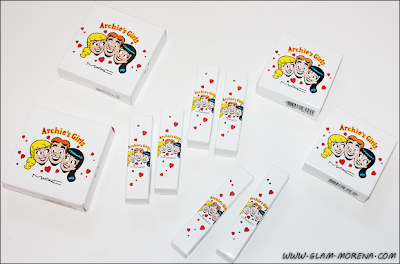 Swatches of MAC Archie's Girls Veronica: Boyfriend Stealer, Daddy's Little Girl, Ronnie Red, Strawberry Malt, Prom Princess, and Veronica's Blush. 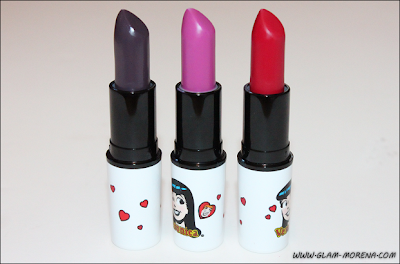 Lip swatches of Boyfriend Stealer, Daddy's Little Girl, Ronnie Red, Strawberry Malt. 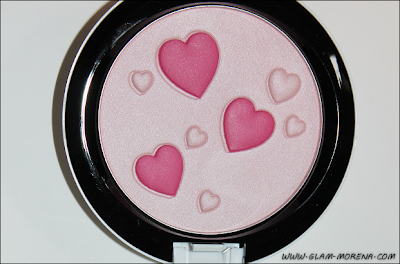 Be sure to go here for swatches from the Betty part of the collection! Did you purchase anything from Veronica's side of the collection? If so, what? Hey Rai! I have nominated you for the Creative Blogger Award!